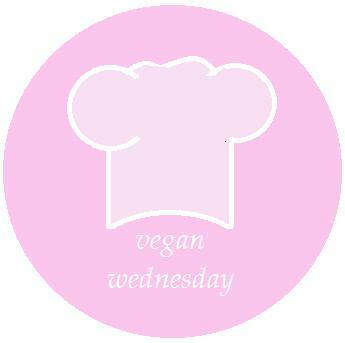 This week Petzi of the blog “From Veggie to Vegan” collects our Vegan Wednesday pictures for the pinterest board. 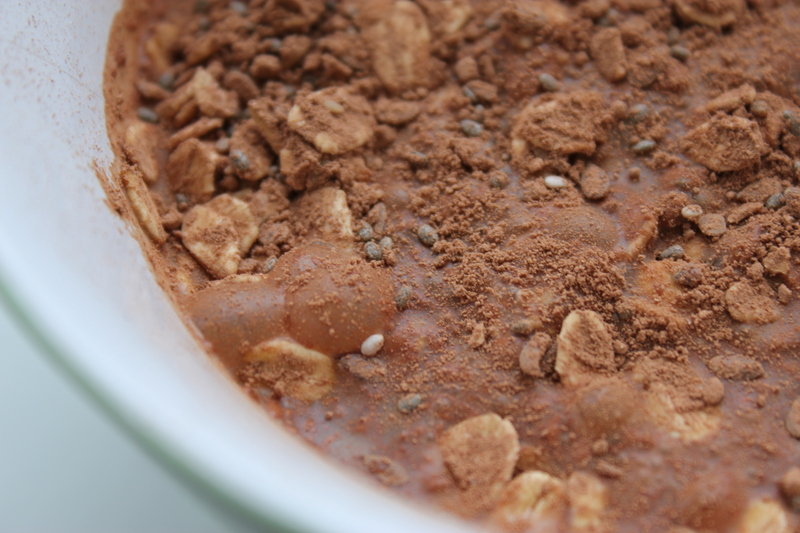 I make it by mixing 1/3 cup of rolled oats, 1 Tbsp chia seeds, 1 Tbsp flax seeds, about 1/2 tsp maca powder, 1 1/2 Tbsp raw cacao powder, some date pasta or maple syrup (or a mashed banana) and some cinnamon, vanilla and cardamome with oat- or almond milk (just as much as to reach desired consistency). 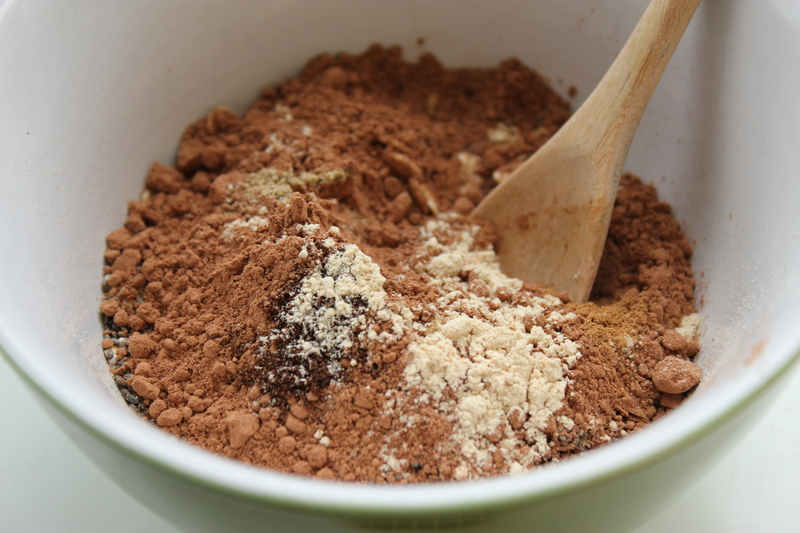 I pour this mixture in a glass jar and take it with me to work (or school) for breakfast. 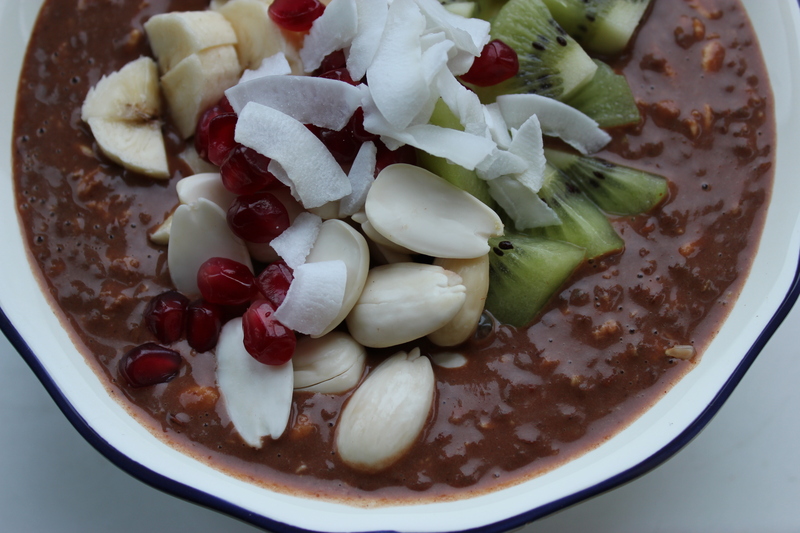 I like it topped with some fresh fruit, nuts and coconut flakes. 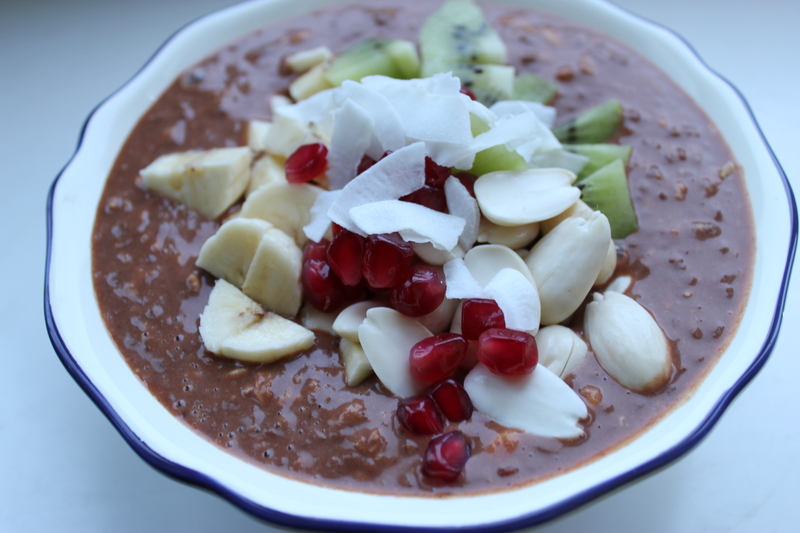 The inspiration for this breakfast comes from the lovely Luise of GreenKitchenStories. 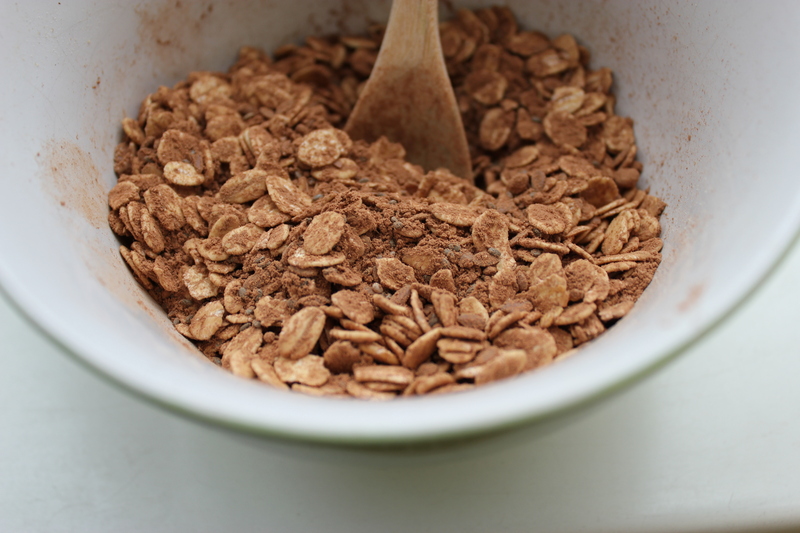 Sure, raw cacao can be a bit pricey and its health benefits are being contested, but I really like its taste and I think if it can even give me more (extra nutrition) than a delicious breakfast I’m willing to pay a few extra euros. 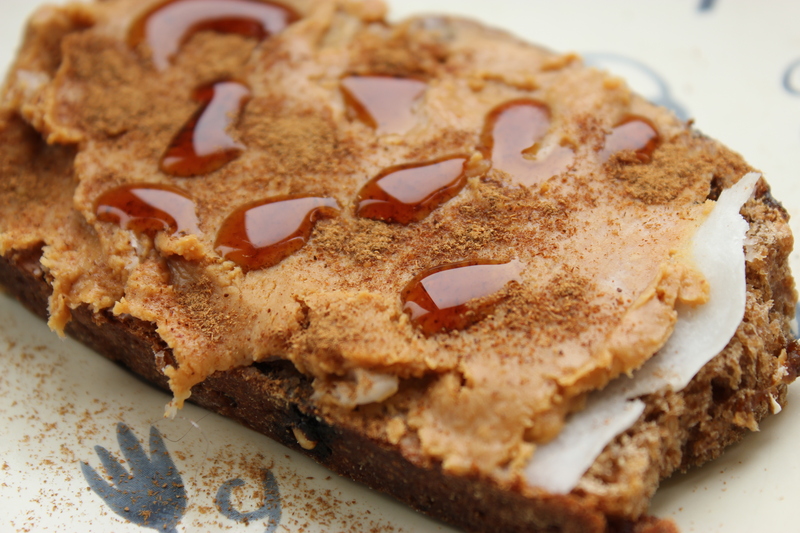 Mid-morning I also had a slice of sourdough spelt-raisin&nut bread with coconut oil, peanut butter, cinnamon and some maple syrup. 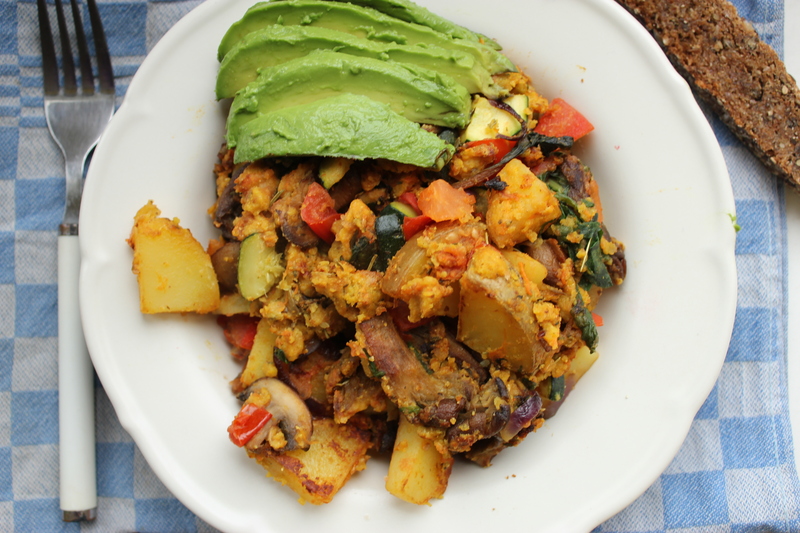 Besides being a quick and satisfying meal, it’s also great to use up all kinds of veggies that have been hanging around in your fridge for almost too long 😉 My scramble contained some leftover boiled potato, 1/3 zucchini, a tomato, some mushrooms, onion and some limp spinach. 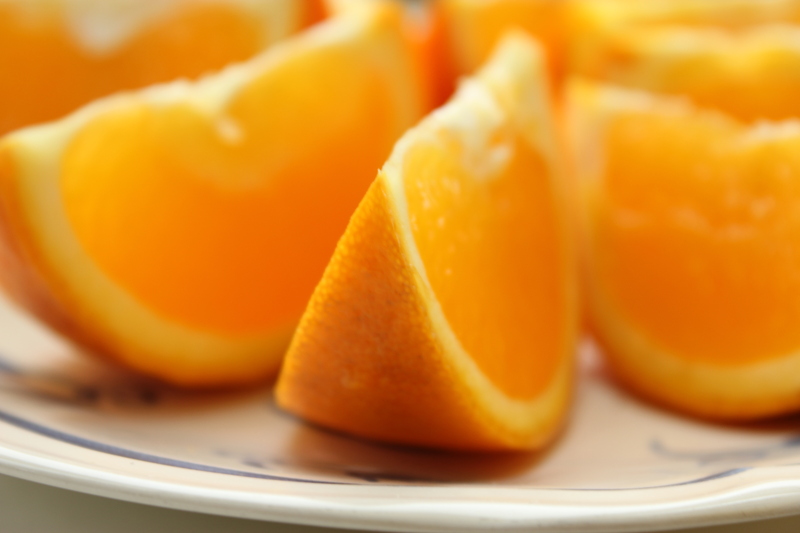 You can find the recipe on this beautiful blog. This Wednesday I was so tired after work that I spent almost all afternoon lying on my sofa, listening to music… and totally missed my yoga class because I fell asleep! *duh* When I woke up again, I just dragged myself into the kitchen to prepare Thursday’s breakfast and then finally went to bed. So this dish (which could be either lunch or dinner) has to stand in for Wednesday’s dinner, that I missed out on. 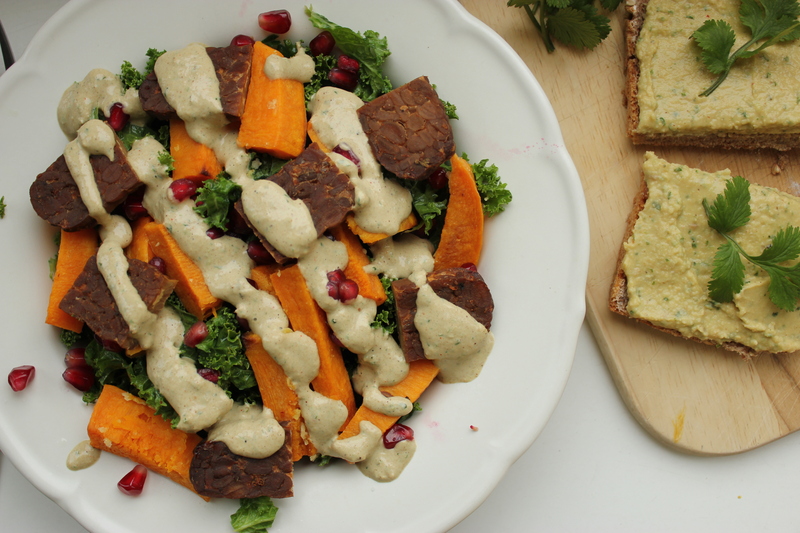 It’s massaged kale, topped with oven-baked butternut squash, smokey tempeh, pomegranate seeds and a simple tahini-dressing. 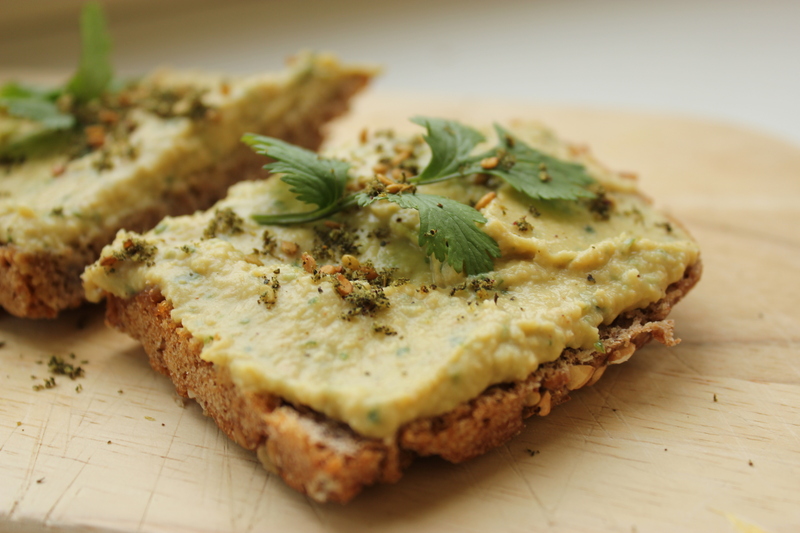 I enjoyed it with a side of fresh sourdough spelt-buckwheat bread with coriander-hummus and z’atar on top. 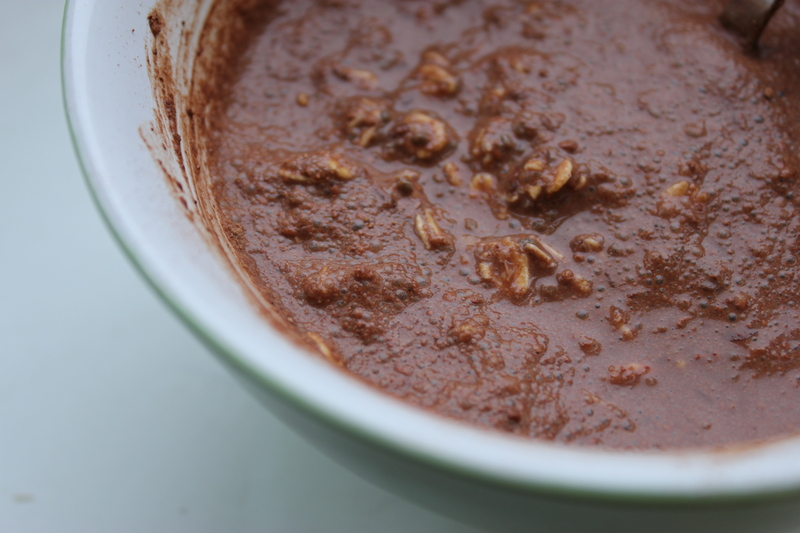 This entry was posted in Vegan Wednesday and tagged breakfast, breakfast in a jar, cacao oatmeal, dinner, kale, lunch, raw cacao, salad, snack, Vegan, vegan scramble. Bookmark the permalink. 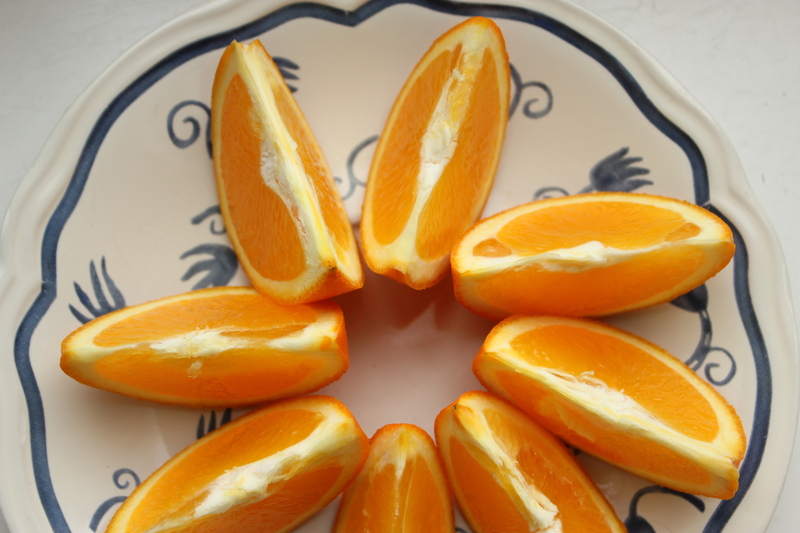 Beautiful pictures of great food! Never mind that I just ate: your photos are making me hungry. 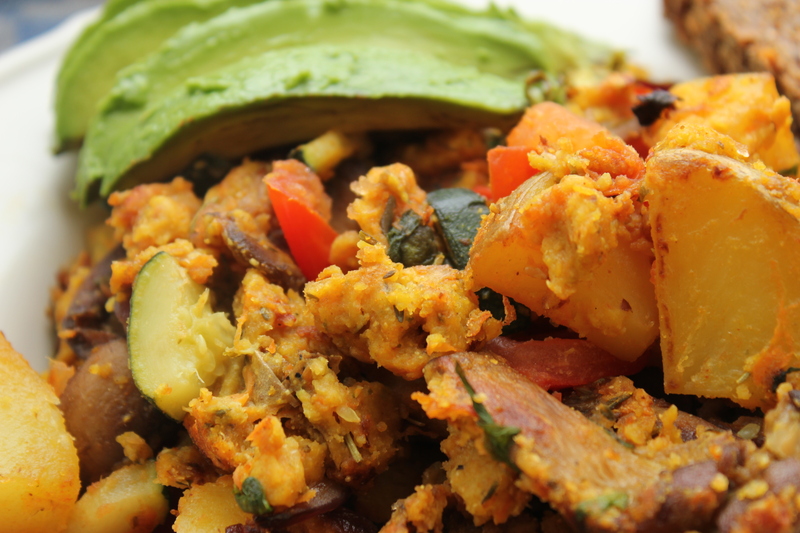 Especially the scramble because I’ve been on a chickpea flour kick lately usually using it in dumplings but your lunch is an awesome idea, too. 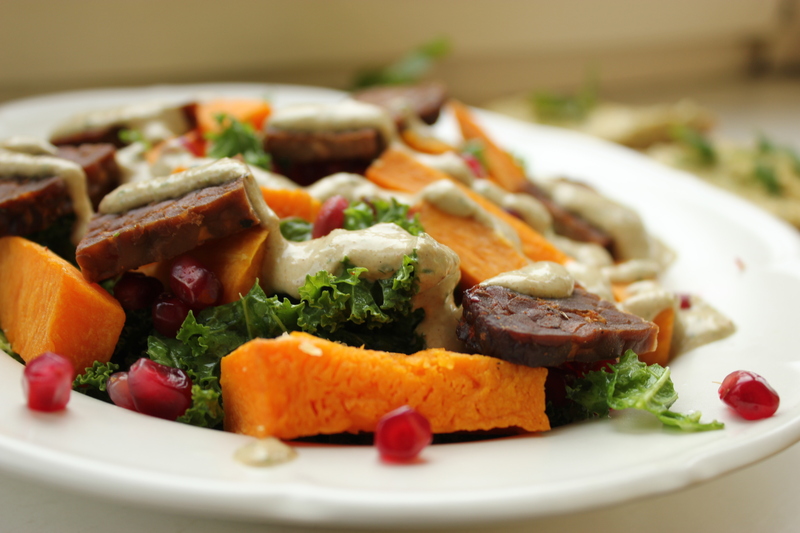 As is the kale salad – so pretty! Wow, dumplings sound pretty delish to me aswell! do you have a recipe for that? Yes and I plan on sharing it … soon. Hopefully by the end of next week. ah cool! da bin ich gespannt 🙂 schöne woche bis dahin! Danke, Dir auch! Ich hoffe, ich schaffe es, am Freitag zu posten.